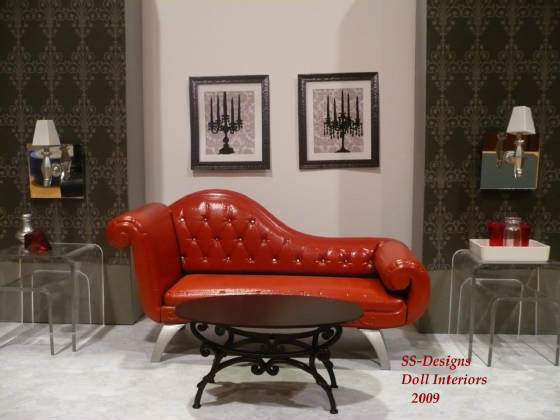 Welcome to SS-Designs Doll Interiors where you can find one of a kind furniture and accessories for Barbie fashion dolls. I am an independent artist and in no way affiliated with any doll company. Feel free to browse my gallery of work. I hope to inspire you to create fabulous settings for your treasured fashion dolls. 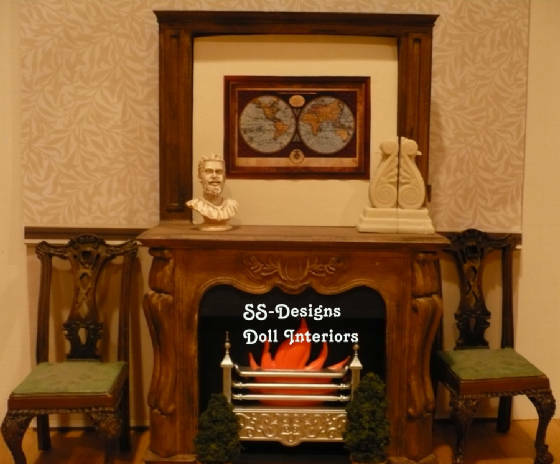 OOAK Fireplace with faux wood finish. Now in a private collection. 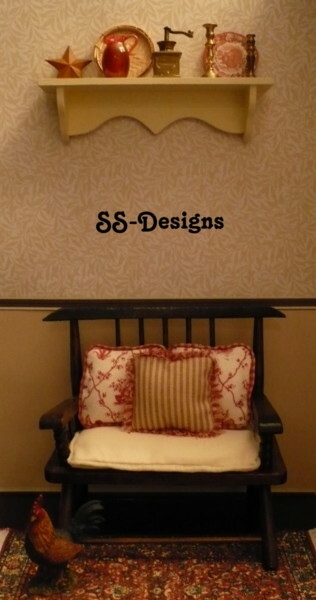 Wooden bench with French Country style cushions & pillows.